Today I present a very special set for your viewing pleasure. Not only is this a very cool officially licensed Coca-Cola TLV set but it also marks TLV numbers 100 and 101. 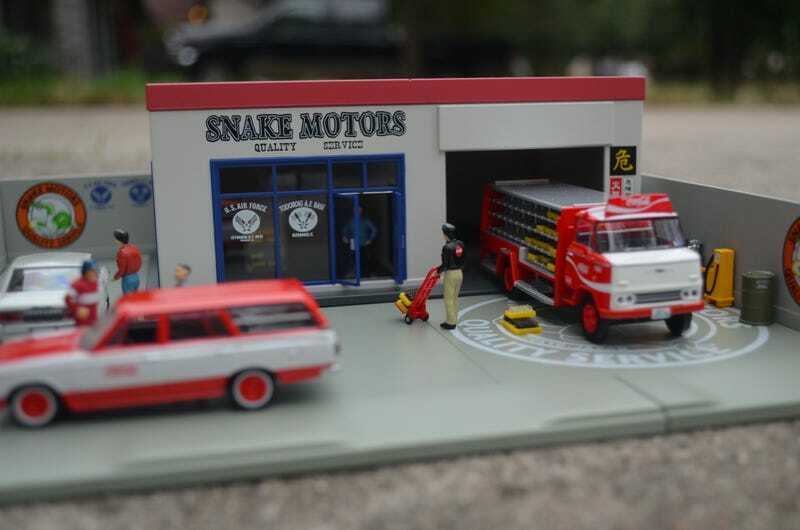 This set was released back in 2010 and includes a Nissan 3.5t truck and a Toyopet Crown Van. Also included are the driver and fold away dolly that you can store on the truck as well as several cases of Coke. From what I can tell the van was only released in the box set but the truck could be had individually.